K Jah is rapidly gaining recognition as one of Birmingham’s leading jungle/dnb producers but he fully acknowledges his 25 year apprenticeship in the rave scene, evolving from tape-pack-listener to raver, DJ, pirate radio DJ (Kool Fm Midlands) and then music producer. 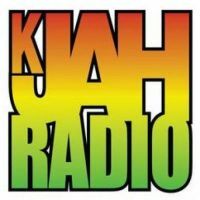 Drawing on the Rave/Jungle/Drum and Bass sounds that have shaped his life and music from the late 80’s and throughout the 90’s, it’s this history that helps create the substance and vibes of K JAH’s rolling productions. Here are the latest K-Jah mixes uploaded to Soundcloud. Do you promote/manage K-Jah? Login to our free Promotion Centre to update these details.